Image caption New Zealand's Prime Minister Jacinda Ardern speaks to the media, following shootings at two mosques in Christchurch. 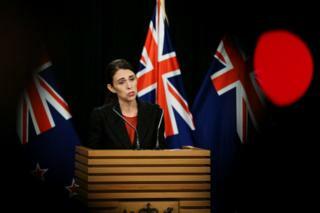 Ms Ardern described the nation's deadliest attack as one of New Zealand's "darkest days". 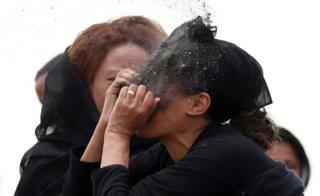 Image caption A woman puts soil on her face as she mourns at the scene of the Ethiopian Airlines Flight ET 302 plane crash, near the town of Bishoftu. The plane was en route from Addis Ababa to the Kenyan capital, Nairobi, when it crashed six minutes after take-off, killing all 157 people on board. 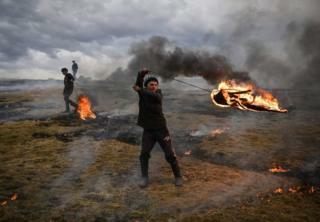 Image caption A youth swings a flaming tyre as part of a tradition marking Clean Monday, the first day of Great Lent in the Eastern Orthodox Christian Church calendar, in the Romanian village of Poplaca. 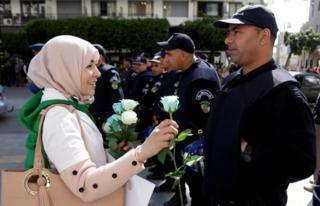 Image caption A demonstrator offers a flower to a police officer as teachers and students take part in a protest in Algiers, Algeria. Anti-government protests have continued since February after President Abdelaziz Bouteflika announced that he would seek a fifth term in office. He later said that he won't stand. 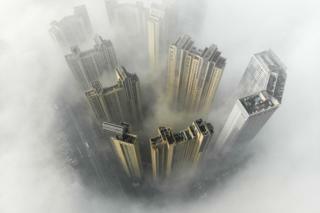 Image caption Heavy fog surrounds high-rise buildings in Changsha, Hunan Province, China. 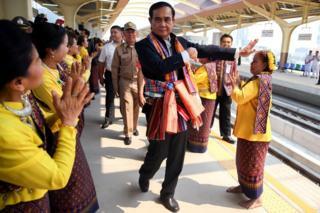 Image caption Thailand's Prime Minister Prayuth Chan-ocha performs a traditional dance with performers at Khon Kaen railway station during a visit ahead of the general election on 24 March. 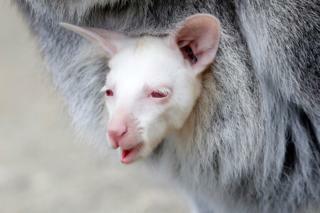 Image caption A newborn albino red-necked wallaby is carried by its mother in their enclosure at the zoo in Decin, Czech Republic. 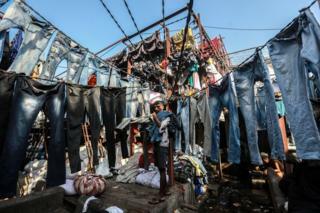 Image caption A dhobi hangs out washed clothes at the Mahalaxmi Dhobi Ghat in Mumbai, India. The Dhobi Ghat is an open-air laundry where washermen clean and iron clothes for local customers. Image caption Sky Brown, 10, during the Skateboard GB team announcement in Manchester, UK. Born in Miyazaki, Japan, to a British father and Japanese mother, Sky could become Britain's youngest ever summer Olympian if she qualifies for the 2020 Tokyo Games. 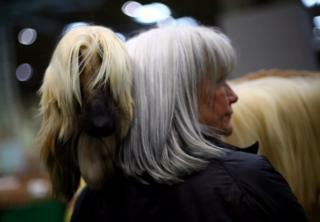 Image caption An Afghan Hound stands with its owner during the third day of the annual Crufts dog show in Birmingham, UK.